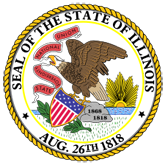 This report fulfills the directive under Executive Order 2017-03 addressing the transfer of the Office of Energy and Recycling program to the Illinois Environmental Protection Agency. 1. Illinois Environmental Protection Agency's Office of Energy 2018 Annual Report (EnergyOfficeReport_12212018.pdf).